Atlanta, Georgia has a rich history with motorcycles. The Atlanta Speedway opened in 1909, at the time it was a two mile clay track. 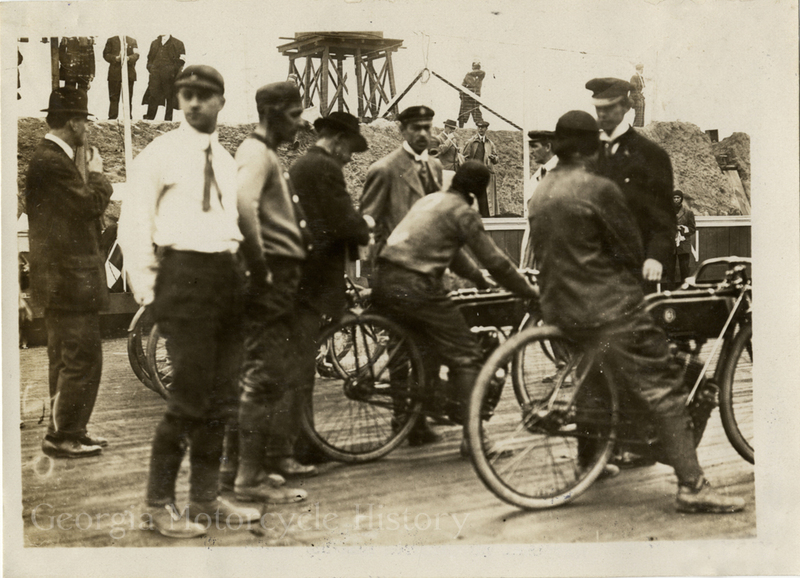 Some of the very first races were motorcycle races with five of the countries top professional motorcycle riders. For decades, Atlanta has had a love affair with motorcycles. Another popular motorcycle event in Atlanta is Road Atlanta. This is a 2.54 mile road course located just north of Braselton, Georgia. It is a very popular destination for motorcycle racing. With such a rich history of motor sports in the Atlanta area, there would be a big need for motorcycle buyers Atlanta. That is where Sell My Motorcycle comes in. We buy used motorcycles from all over the great state of Georgia. With the almost year around use of motorcycles in Georgia, there becomes a desire to buy a new bike, but first you have to sell your old bike. We will make a fair offer on your bike and have you selling your old bike and get the cash you need for your new one. No one likes the hassle of dealing with a dealership that just wants to offer you the bare minimum for your motorcycle. Of course they want to offer you very little then turn around and sign you up for a new motorcycle right away. At Sell My Motorcycle we are not selling you anything, we just want to buy your bike in the Atlanta area. We are not trying to sell you a new bike, just buy your old one. To walk into a dealership, after you have the cash from us for your old motorcycle, gives you a hand up in buying your new bike. The process is quite simple, fill out our quote or give us a call at 1-404-975-0072, we will give you a fair quote, then we arrange pick up of your bike and issue you a check, that simple. We buy from all over Georgia and pick up from all over the state as well, give us a call today!